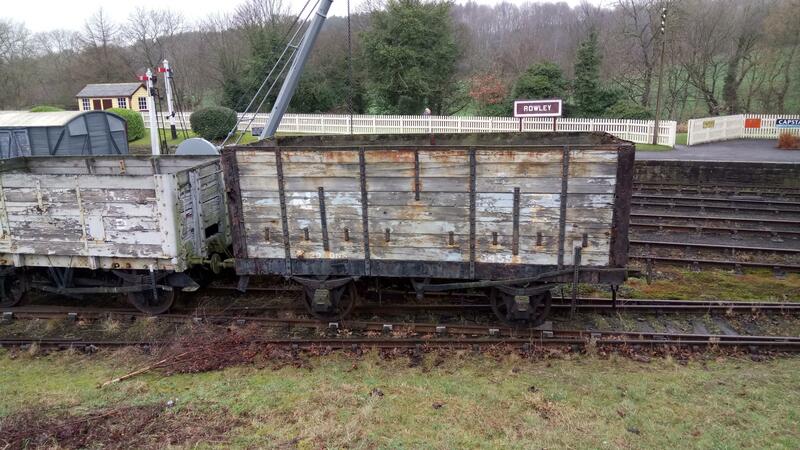 We often talk about 'weathering' wagons - but we usually mean 'dirtying'. So what about actual weathering, just the effects of sun, rain, wind and frost? 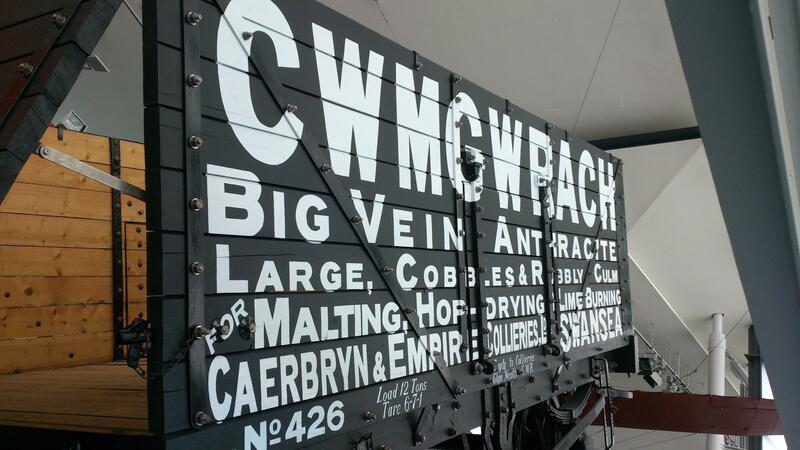 All paint will ultimately peel from weather-exposed wooden surfaces, and decades-old wagons were no exception. There was an article in the Model Railway Journal No.262 (April 2018) about representing bare-wood wagons, and the examples were in O-Gauge, with references to blending paints, representing knots and wood grain etc. 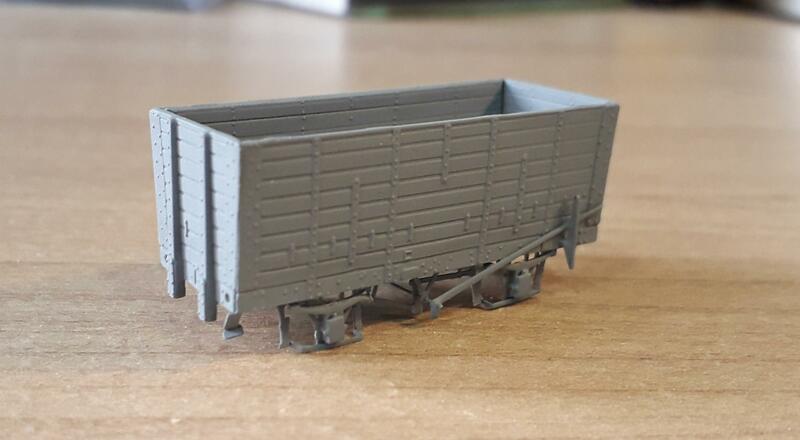 I wanted to make some bare-wood wagons in N Gauge, and am doing some experiments to find the most realistic finish I can. 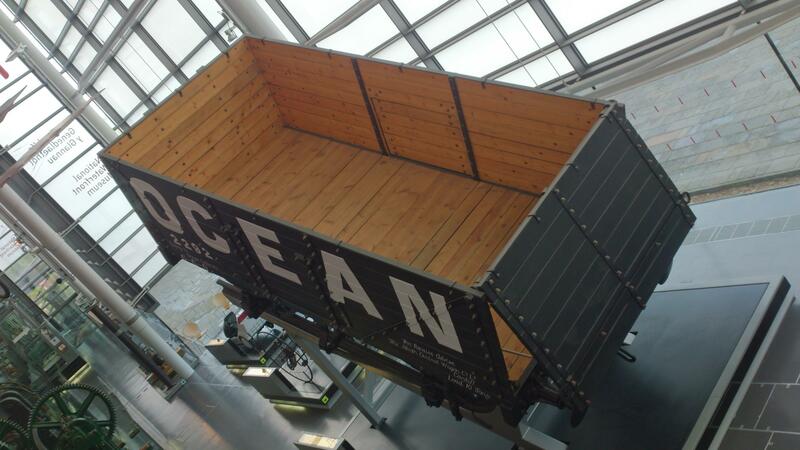 This wagon has seen little actual weather, but even indoors the wood has been darkened by sunlight. I decided to work with the 'cream' wagon body as was, but primed the yellow one white. The black body will be white washed to begin with; the brown will be be brush-painted light grey. From that basis I'm working with Citadel Models (Games Workshop) washes, particularly 'Nuln Oil' (black) and 'Earthshade' (brown). After 3 coats of diluted Nuln Oil (including the white-washed wagon) I'm pleased with progress, but am pressing on with more layers of wash to see how they evolve. This is a very interesting subject, a good way of finding out how to create that weather worn look. 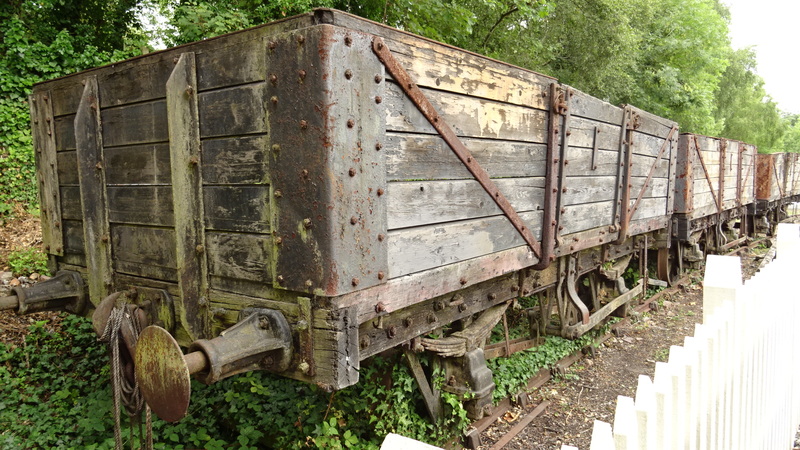 I usually like to keep my wagons pristine but I've been debating recently if it worth creating the same idea with sleepers on a neglected siding, that we often find dotted about the rail network? Also, stripping it down with brake fluid, that sounds like a great idea? If you don't mind me asking, how do you do that? Thanks Rob. Basically, put the body to be stripped in a container (I used a plastic mushroom punnet) and add brake fluid to cover. Allow to soak for a day or two. Scrub under cold tap with old toothbrush. Wash with detergent and dry. Other methods cited here and elsewhere on this site. The fluid is nasty stuff - read its safety instructions.. Good luck! I'll be following your efforts at 'naked wood' closely as I can think of some bits other than wagons that this could also be applied to. 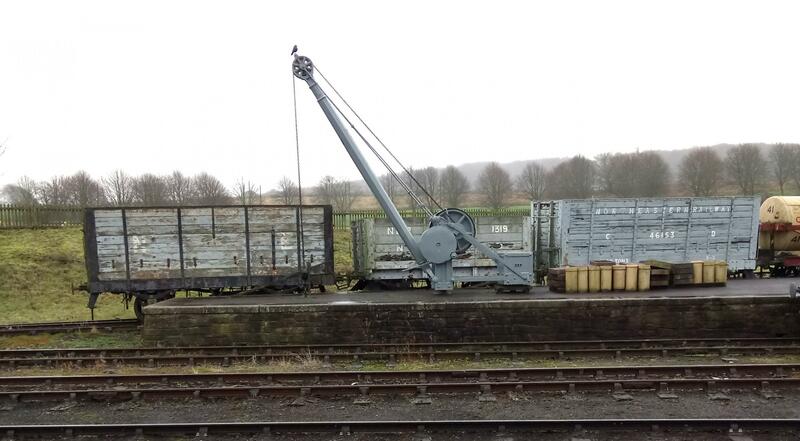 Slightly off topic but I've got three of the NER hoppers in photos three and four to make. So far I've almost finished one! OK, well that's the woodwork more or less done. 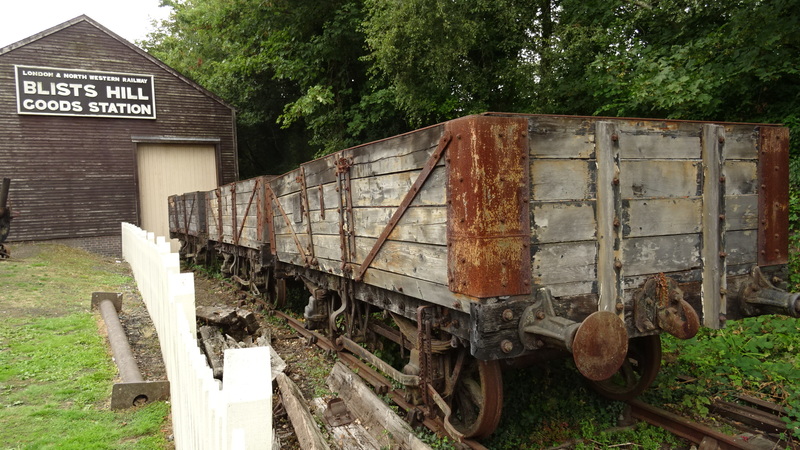 We have a range of tones here, with the leftmost wagon most bleached. The body was brush painted, a single coat of Humbrol 28 (Camouflage Grey) over the dark brown plastic. A rub over with a thumb whilst ‘touch dry’ brought out moulded detail, then one coat of undiluted Nuln Oil finished the job. Next the black 8 plank, which is now a bit dark and bluish, so I might do a bit more fettling to that. What was a yellow 8 plank is a bit browner than I'd like. I suspect the Nuln Oil is a bit brown, plus the primer struggled to suppress the chrome yellow plastic. I can live with this as a younger bare wood example. Finally the cream 6 plank looks like a dirty new but never painted wagon. Once again, I'll run with that. In conclusion, to get old, bare wood we're looking for monochrome - the leftmost example turned out to be the quickest way to get there. Thanks Steve. 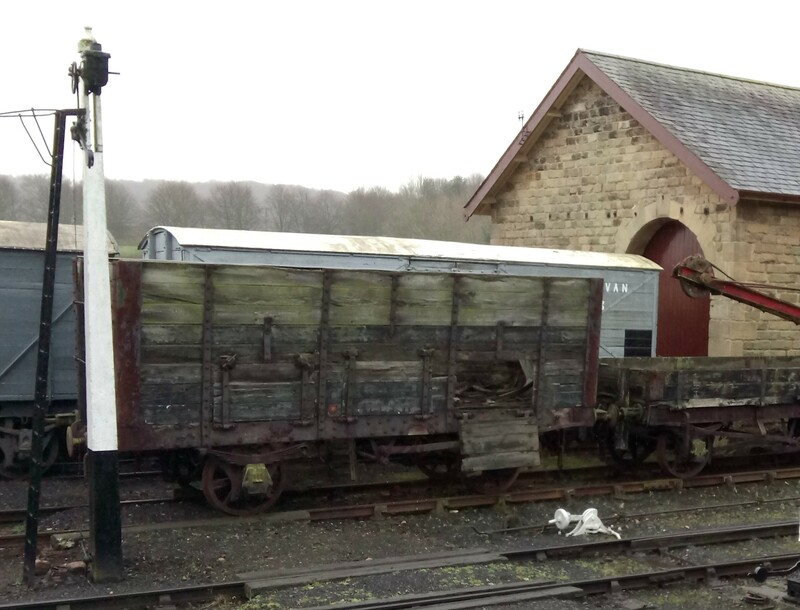 Here are the other two I snapped at Beamish. Rust and chassis dirt are much more random effects than wood-aging, making reference to prototype photographs essential. 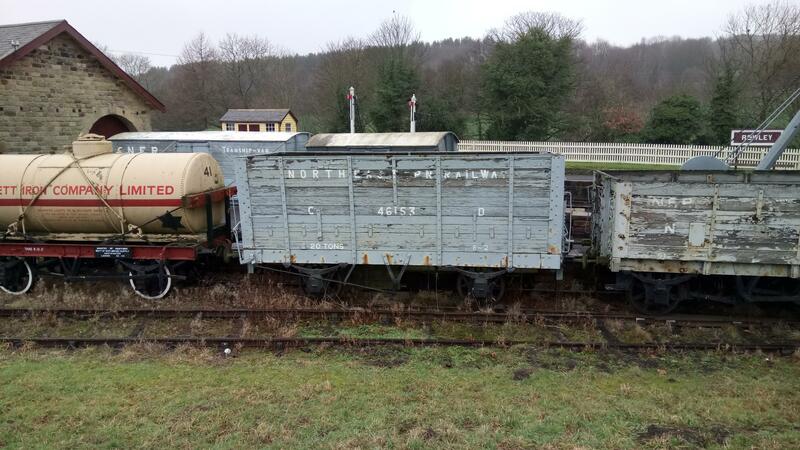 First we have the two Grafar wagons. The 'newish wood' example on the left has its strapping picked out with a Sharpie permanent marker, which has an oily purple cast, and sits on an untreated chassis. I will probably add a very thin white-wash coat overall to tone this all down a little. The Minitrix examples have some mods to their chassis; the brake-cylinders below have been snipped off, as have the tie-bars between the W-irons. The one on the right has been given a 'wooden' chassis by filling in the U-channel of the solebars with Humbrol Model Filler and painting to match the body. Strapping was picked out in Sharpie again. Both chassis' metalwork were previously given a wash of 25% diluted white acrylic and have now had all their ironwork highlighted with several coats of Citadel 'Agrax Earthshade', a dark brown wash.
From the outset this was an experiment, with the stripping bath awaiting the unsuccessful, but I'm quite pleased with how they've turned out, and will be pressing them into (Internal Use Only) service, adding suitable markings and dirt and treating them to new (but rusty looking) Farish spoked wheels. I hope the examples here are helpful to modellers looking to diversify the look of their stock. Lovely stuff, gave me lots of ideas - thanks.